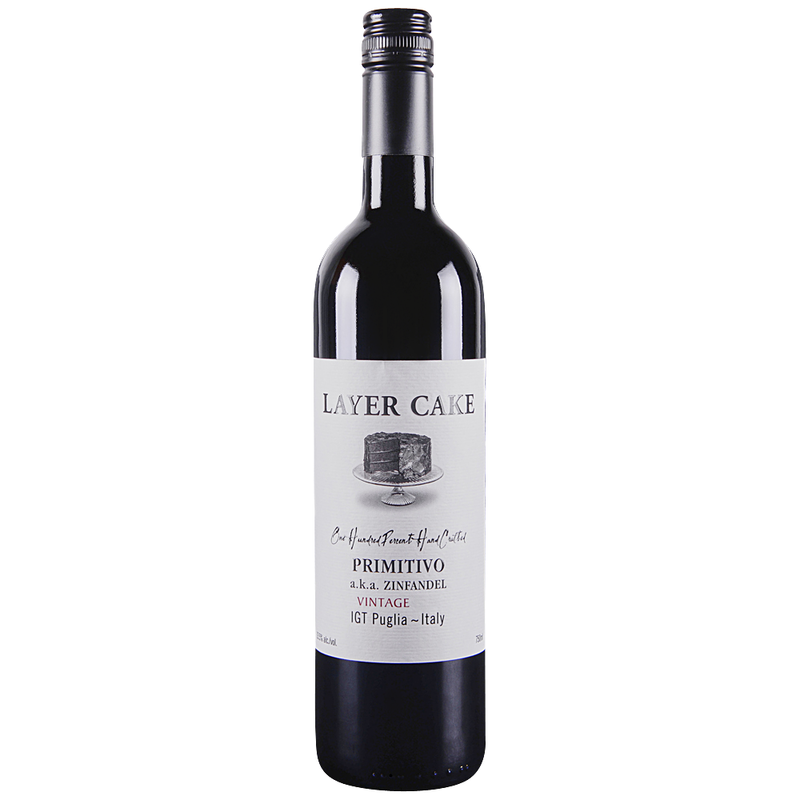 The Layer Cake Primitivo comes right at you with huge inky black fruit, spice and white pepper. Layered and rich in the mouth with jammy black cherries, truffles, espresso and a dense texture. In the background are hints of earth and minerals from the ancient sea beds that are the Puglia terroir.